Victor Davis Hanson: Can Israel Survive? PLEASE USE OUR "SHARE" FEATURES (UNDER ILLUSTRATION) TO MAKE IT GO VIRAL! 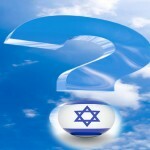 http://www.JewishWorldReview.com | Will Israel survive? That question hasn't really been asked since 1967. Then, a far weaker Israel was surrounded on all sides by Arab dictatorships that were equipped with sophisticated weapons from their nuclear patron, the Soviet Union. But now, things are far worse for the Jewish state. Egyptian mobs just tried to storm the Israeli embassy in Cairo and kill any Israelis they could get their hands on. Whatever Egyptian government emerges, it will be more Islamist than before -- and may renounce the peace accords with Israel. One thing unites Syrian and Libyan dissidents: They seem to hate Israel as much as the murderous dictators whom they have been trying to throw out. The so-called "Arab Spring" was supposed to usher in Arab self-introspection about why intolerant strongmen keep sprouting up in the Middle East. Post-revolutionary critics could freely examine self-inflicted Arab wounds, such as tribalism, religious intolerance, authoritarianism, endemic corruption, closed economies and gender apartheid. But so far, "revolutionaries" sound a lot more like reactionaries. They are more often retreating to the tired conspiracies that the Israelis and Americans pushed onto innocent Arab publics homegrown corrupt madmen such as Bashar Assad, Muammar Gadhafi and Hosni Mubarak. In 1967, the more powerful periphery of the Middle East -- the Shah's Iran, Kemalist Turkey, a military-run Pakistan and the Gulf monarchies -- was mostly uninvolved in the Israel-Arab frontline fighting. Not now. A soon-to-be-nuclear Iran serially promises to destroy Israel. The Erdogan government in Turkey brags about its Ottoman Islamist past -- and wants to provoke Israel into an eastern Mediterranean shooting war. Pakistan is the world's leading host and exporter of jihadists obsessed with destroying Israel. The oil-rich Gulf states use their vast petroleum wealth and clout to line up oil importers against Israel. The 21st century United Nations is a de facto enemy of the Jewish state. Meanwhile, the West is nearly bankrupt. The European Union is on the brink of dissolving, its population shrinking amid growing numbers of Islamic immigrants. America is $16 trillion in debt. We are tired of three wars. The Obama administration initially thought putting a little "light" into the once-solid relationship between Israel and the United States might coax Arab countries into negotiating a peace. That new American triangulation certainly has given a far more confident Muslim world more hope -- but it's hope that just maybe the United States now cannot or will not come to Israel's aid if Muslim states ratchet up the tension. It is trendy to blame Israel intransigence for all these bleak developments. But to do so is simply to forget history. There were three Arab efforts to destroy Israel before it occupied any borderlands after its victory in 1967. Later, it gave back all of Sinai and yet now faces a hostile Egypt. It got out of Lebanon -- and Hezbollah crowed that Israel was weakening, as that terrorist organization moved in and stockpiled thousands of missiles pointed at Tel Aviv. Israel got out of Gaza and earned as thanks both rocket showers and a terrorist Hamas government sworn to destroy the Jewish state. The Arab Middle East damns Israel for not granting a "right of return" into Israel to Palestinians who have not lived there in nearly 70 years. But it keeps embarrassed silence about the more than half-million Jews whom Arab dictatorships much later ethnically cleansed from Baghdad, Damascus and Cairo, and sent back into Israel. On cue, the Palestinian ambassador to the United States again brags that there will be no Jews allowed in his newly envisioned, and American subsidized, Palestinian state -- a boast with eerie historical parallels. By now we know both what will start and deter yet another conflict in the Middle East. In the past, wars broke out when the Arab states thought they could win them and stopped when they conceded they could not. But now a new array of factors -- ever more Islamist enemies of Israel such as Turkey and Iran, ever more likelihood of frontline Arab Islamist governments, ever more fear of Islamic terrorism, ever more unabashed anti-Semitism, ever more petrodollars flowing into the Middle East, ever more chance of nuclear Islamist states, and ever more indifference by Europe and the United States -- has probably convinced Israel's enemies that finally they can win what they could not in 1947, 1956, 1967, 1973, 1982 and 2006. So brace yourself. The next war against Israel is no longer a matter of if, only when. And it will be far more deadly than any we've witnessed in quite some time.